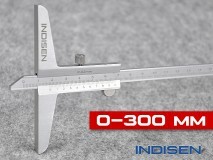 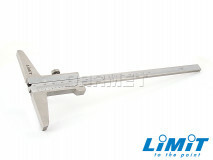 The depth gauge is an extremely useful tool for measuring the depth of openings, gaps, depressions or treads of tires. 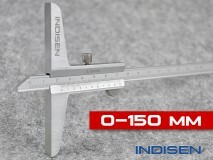 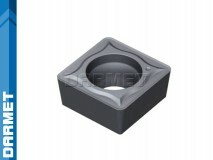 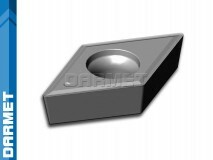 Depending on the type of measurement, the measuring tip takes various shapes: straight, hooked, spindle, rounded. 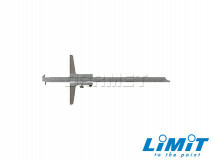 An important element of the construction is the crossbar, which provides proper support. 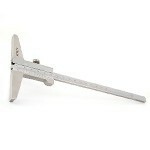 The depth gauge is usually made of stainless steel. 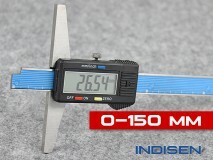 We distinguish depth gauges with vernier and electronic reading.